"Immaculate conception" is a central theme in many religious stories, whereby a woman brings an unfathered child into the world via divine intervention. But virgin births aren’t actually possible amongst Homo sapiens, nor are they known to occur naturally in any species of mammal. But can other animals give virgin births? Surprisingly, immaculate animal conception does occur, though it remains somewhat rare, with only about 0.1% of vertebrates exhibiting the characteristic. Parthenogenesis, as it’s scientifically known, is a form of asexual reproduction that can manifest in both plants and animals. In the latter, it means an embryo develops from an unfertilized egg. Sometimes, animal virgin births are a species exclusive way of reproducing. Other times it’s a survival feature that allows females to propagate when male suitors are limited or nonexistent. Interesting, however, parthenogenesis can also be incited by external means, such as infectious disease or artificial mediation. So read on if you would like to know about the wild world of propagating animal virgins and their G-rated ways of reproducing. Scorpions are arachnids most well-known for the venomous weapon carried at the end of their curled tail. But perhaps more terrifying is the fact that some among these eight-legged nightmares can actually reproduce without the aid of a partner. There are nine species of parthenogenetic scorpions able to churn out armies of poisonous little scorplings, ranging from a litter of two to several dozen, depending on the species. Parthenogenesis has been known to occur in several species of shark, including blacktip, zebra, carpet, white-spotted bamboo, bonehead, and even some kinds of hammerhead sharks. The phenomenon has primarily been observed in captivity when females have been isolated from males. Under these circumstances, some females have the ability to switch from sexual reproduction to parthenogenesis. While this is likely an evolutionary trait that allows a species to survive when mates are scarce, researchers worry it could lead to a lack of genetic diversity and endanger long-term shark survival in the wild. #3 on What Sea Creature Do You Want to Be? Combining a venomous nature like that of the scorpion, a mouthful of sharp teeth like a shark, and resembling a mini-dinosaur, Komodo dragons are remarkably intimidating creatures. Add the ability for the Komodo to reproduce parthenogenetically, and they become one of the more fascinating species on the planet. Parthenogenesis in Komodos is thought to have evolved in response to their remote environment, where mates may not always be accessible. Dragon babies produced via virgin births derive all of their genetic material from their mother, but rather than being strict clones, half of the genes the female would normally contribute to sexual reproduction are instead doubled-up and passed onto her offspring. 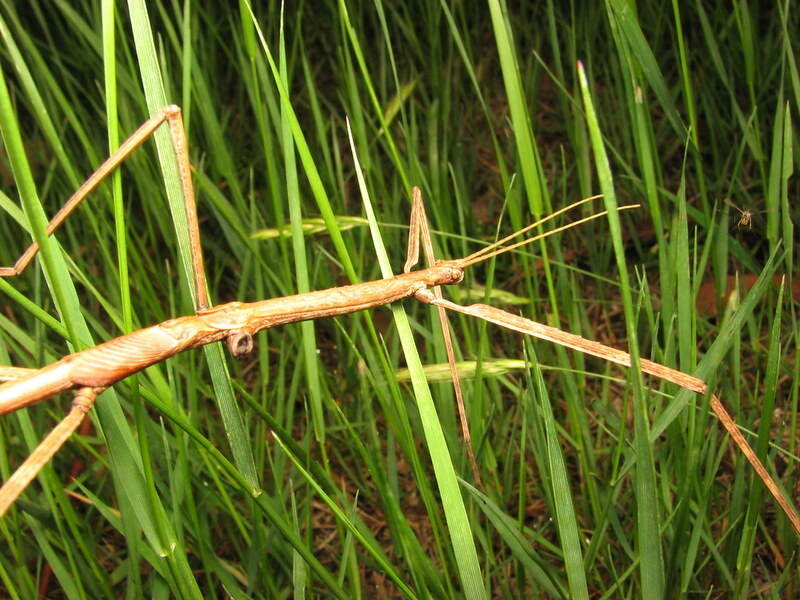 Phasmids, aka stick bugs, are an order of insect whose color and bodily structure resemble the environment they inhabit. This effective camouflage, as well as other defensive traits, are thought to have evolved to help stick bugs evade and ward off predators. But another amazing evolutionary feature some species among this group possess is the ability to birth young without the help of fertilization. Offspring are sometimes a clone of their mother, other times not, making stick bugs just that much more elusive and mystifying.